Kim Kardashian wanted to pay an ex-inmate's rent. But he was still denied an apartment. Kardashian West urged any landlords in Nashville, Tennessee, willing to give Matthew Charles "a second chance," to please come forward. 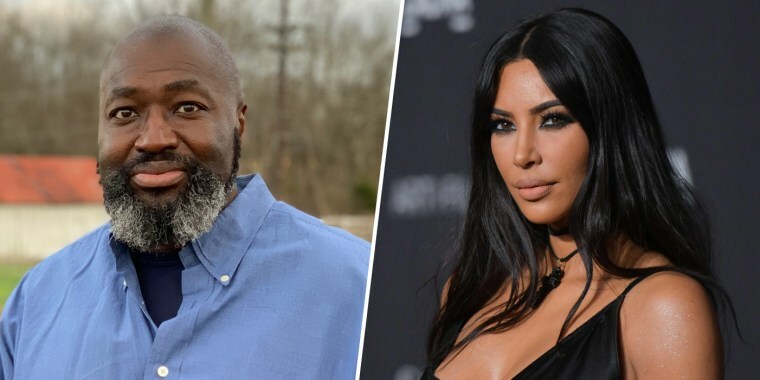 Kim Kardashian West says the lease application of Matthew Charles, one of the most recognized faces of criminal justice reform, was rejected because of his criminal record — despite her offering to pay his rent in advance. Kardashian West urged any landlords in Nashville, Tennessee, willing to give Charles "a second chance," to please come forward. "Serious inquiries only," the reality TV star tweeted over the weekend. Charles told NBC News he was grateful for all the help he has received from Kardashian West and many others who have reached out to help in his search for a home. "It’s tough for a person with a criminal record to find housing even though you’ve paid your debt to society, and have made significant changes in your life," Charles said in a statement Monday. "As a nation, if we want to reduce recidivism we can’t make it hard for people coming out of prison to succeed." Charles was one of the first inmates released under the First Step Act, the criminal-justice reform law signed by President Donald Trump in December, which eased mandatory-minimum drug sentences. Kardashian West was among those to support it. Charles was sentenced to 35 years in 1996 at the age of 30 for selling drugs and illegally possessing a gun. He spent more than 20 years in jail. He was a model inmate, authorities said. He became a law clerk and mentored other prisoners. Charles applied for early release several times, and a federal judge granted it to him in early 2016. But federal prosecutors fought the ruling and an appeals court ordered him back to prison two years later to serve nine more years. Charles was one of Trump’s guests at the State of the Union address in February, a little more than a month after he was released from prison. Last weekend, Charles expressed his gratitude to Kardashian West in a Facebook post for offering to help him after he had spoken to the Tennessean about the difficulty he had in securing housing since his release. "Kim did not do this for attention or publicity," he said, adding that his heart was about to burst with happiness. Charles said Monday he considers himself lucky, because unlike others, he has "tremendous support from family and friends." "I just want to share my story so that the country can understand the struggles that all of us face when returning to society," he said.